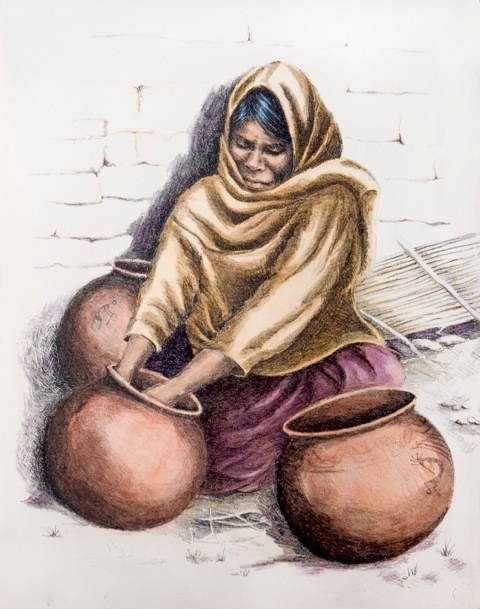 Each Stone Lithograph is from a Limited Edition of 100 or less, and is hand signed and numbered by Tazouz. 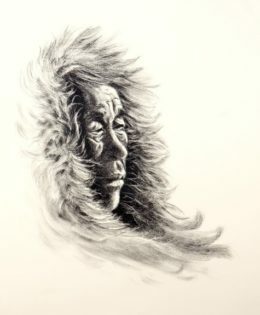 An Inuit Elder is Listening as the wind spirits speak to him. 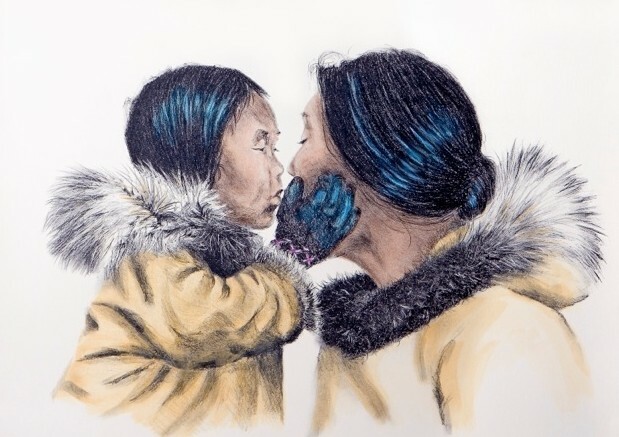 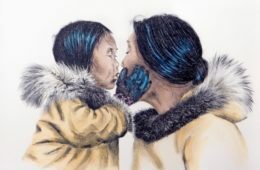 The deep love and affection of a mother for her child is returned by this inuit girl kissing her mother. Stone Lithograph – hand signed and numbered. 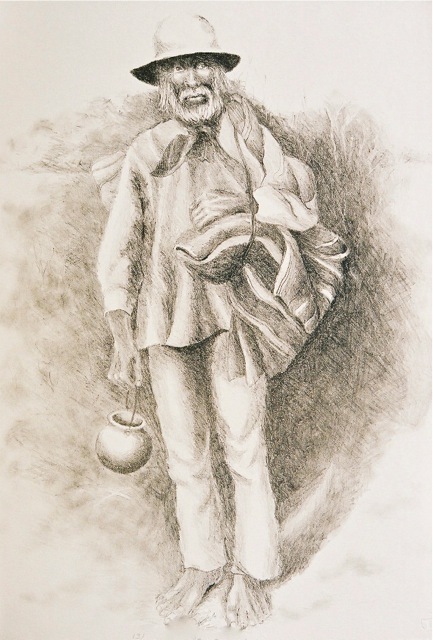 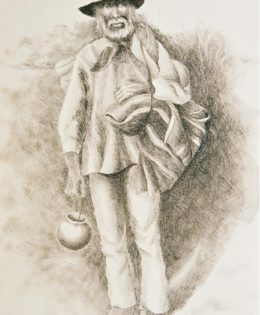 This Seri Indian from Kino Bay, Sonora Mexico, like many a pilgrim before him, travels with all his belongings on his back. 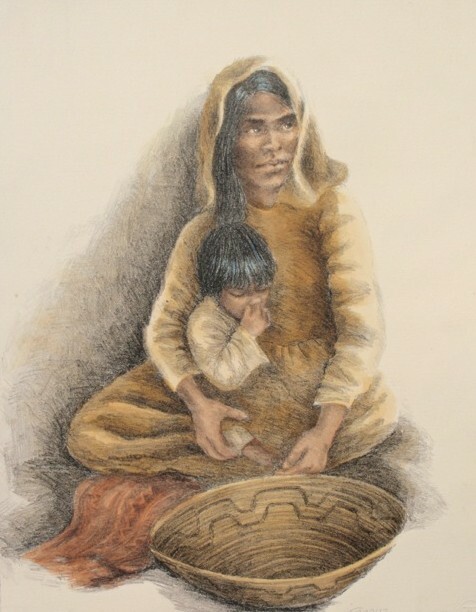 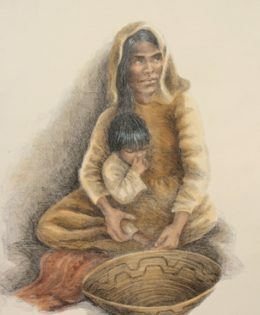 Tohono O’odham Woman selling her basket at the local craft fair. 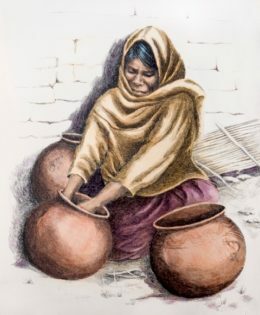 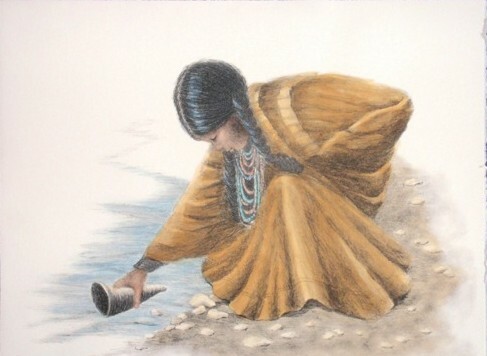 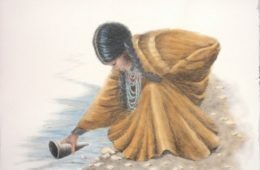 This Tohono O’odham Woman is totally focussed on the task of making an Olla, a clay pot for storing water.